No more excuses needed to reach out to somebody! Every day is a chance to make connection and to celebrate life. 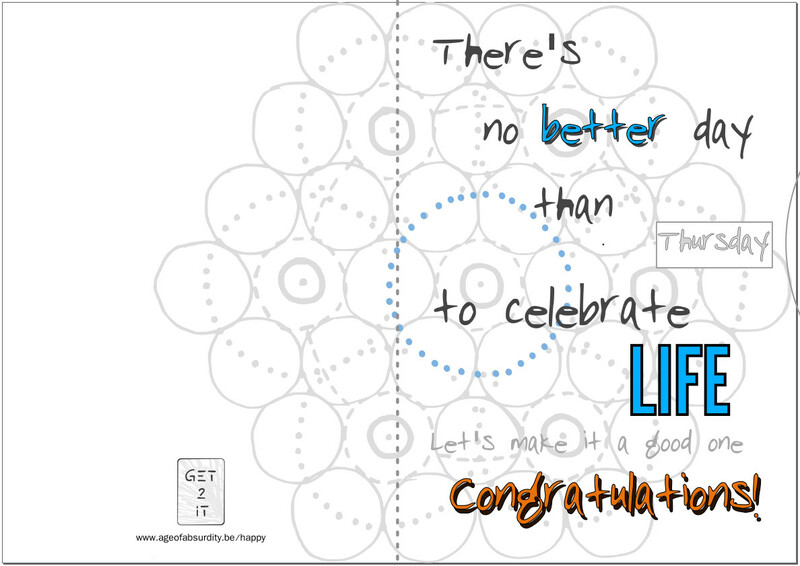 To make it easier and more fun, we made a few gift – celebration cards. They have a rotating wheel that let’s you select any day of the week, so you can use the card for any day (especially those where you realise the birthday of that good friend was yesterday). They are size A4 folded in half, so you have plenty of space to write whatever it is that you need written on paper. The plan is to make it possible to order the cards or to download the inkscape files available for you to make them yourself under the creative commons license. The philosophy behind the cards is that seeking happiness will not bring it and we don’t need any special occasion to try and make life wonderful.